Screenwriter Aaron Sorkin is winning critical praise for the script he penned for the Steve Jobs biopic that is currently playing in theaters. But producing a worthy story that captures the complexities of an iconic genius proved to be an easier feat compared to the casting process. After a slew of A-listers including Christian Bale and Leonardo DiCaprio turned down the high-profile role – it was German-Irish actor Michael Fassbender who stepped up to the plate and accepted the challenge of a portraying the man who co-founded the global empire known as Apple. Once the news of Fassbender’s casting was official, many were concerned with the fact that he looks nothing like Steve Jobs but Sorkin wasn’t prepared to allow that realization overshadow the qualifications of the immensely talented leading man. While speaking at the Sirius XM Town Hall, the scribe responsible for The West Wing, expressed how and why Fassbender’s physicality was a non-issue, “I know that when [Fassbender’s] casting was announced there was some bewilderment because he does not look anything like Steve Jobs”. “But the script doesn’t ask anybody to do a physical impersonation of the character that they’re playing, especially not Steve”. 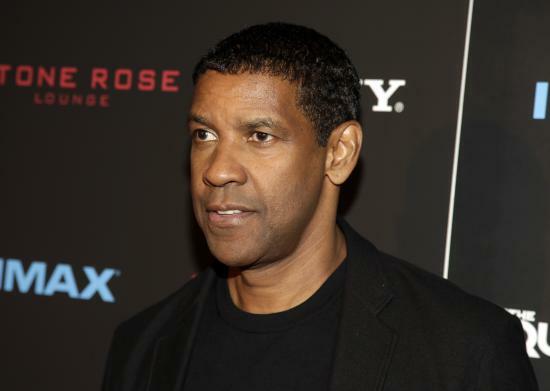 Sorkin went even further by declaring that actor Denzel Washington would have been perfect for the role if he had been younger. “If he were a little bit younger, Denzel [Washington] would have been a great choice in this part”. “The physical resemblance doesn’t matter. Being an actor with serious chops matters. Having game matters – and Michael does”.